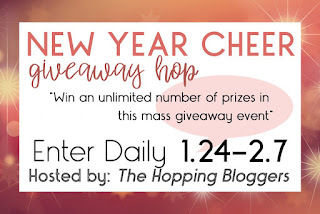 New Year Cheer #Giveaway Hop #THBhop | Stacking My Book Shelves! Everyday I try to bring you a few free eBooks from Amazon! NOT Kindle Unlimited books - Just free eBooks! It's worth checking out and you can always read on your tablet, phone, kindle or any other way you like! I also do reviews, book spotlights and author interviews. I am just starting so some tabs may be empty right now. Well, take a look around and enjoy! I am offering a $15 Gift Card to Amazon & A Pair of Bombas Socks! 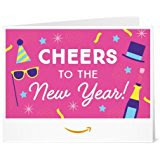 It is open to anyone that is able to receive a egift card from Amazon. 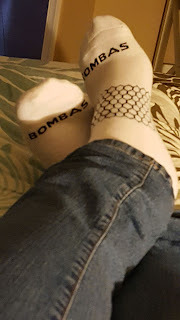 A Pair of Bombas Socks - Open to US/CA! For every pair you buy, they donate a pair to the homeless!! I love them, my whole family loves them. 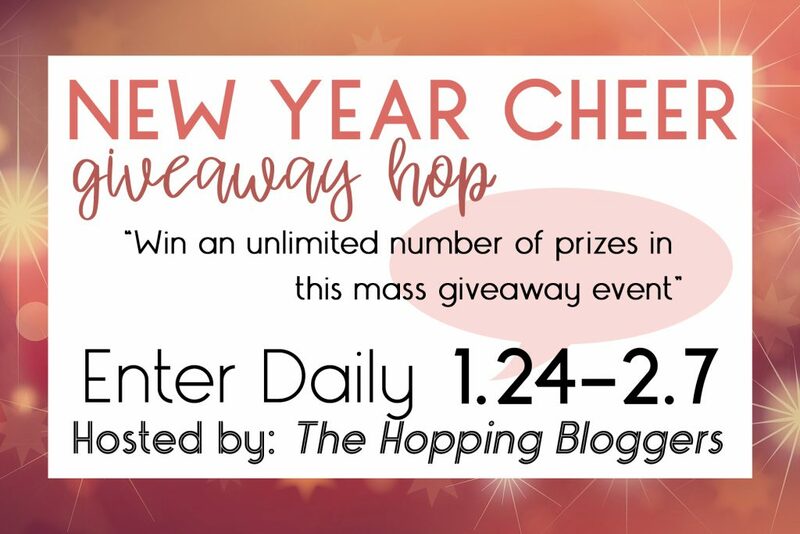 This is a two prize giveaway. There will be two winners. Thanks for stopping in and please hop to the next person so you have more chances at some amazing prizes! Open to anyone who can receive egift card or socks. This giveaway is not sponsored or endorsed by anyone. Prizes will not be substituted or given to someone else. Winner has 48 hours to respond to email and subject to verification to claim the prize. If they do not respond the prize will be forfeited. Stacking My Book Shelves has the right to cancel the giveaway anytime they see fit, without warning or explanation. All Winners are chosen randomly after the contest end date which is displayed on the giveaway post. All Contests are Void where Prohibited By Law. No purchase is necessary to enter the contest/s and does not increase your odds of winning. Any taxes or customs are the responsibility of the winner. Not Stacking My Book Shelves. Your information is confidential and used for the purpose of contacting the winner and prize fulfillment only. I am looking forward to getting a lot of my old home remodeled. I am looking forward to my first retirement check! Woot! I'm looking forward to getting new carpet in my house! Think I lost my comment. But looking forward to better health and more energy. I am looking forward to running a marathon in October! I'm most looking forward to baby #3 coming in April!! I'm so ready to see what he looks like and hold him! I am looking forward to my husband finding full time employment for 2018. He's been looking since mid oct.
"What are you most looking forward to doing or getting in 2018?" I am going to complete some projects, I just know it! I am looking forward to my parents' 60th anniversary. Selling our house and moving! I am looking forward to more books in 2018 and going to see Slayer! I am most looking forward to my husband returning from his deployment! I'm looking forward to a newly renovated kitchen! I'm most looking forward to spending more time with my family! I am looking forward to welcoming a new granddaughter in June! I am looking forward to my 50 year high school reunion. I am looking forward to a beach vacation this summer. I'm looking forward to getting lots of free eats for my birthday! I'm looking forward to camping with my family this year. Funny that you mentioned Bombas. I just saw a commercial for them while I visited your blog -- the first time I've ever heard of them. I'm looking forward to my vacation in about 1 month! I am most looking forward to getting a better job in 2018! Enough is enough! Your socks look so warm. Since my grandson starts school, I'm going to be reading more. To be the best me that I can be. and to spend quality time with the family. I'm looking forward to my promotion in a few months. I'm looking forward to going on a cruise with my husband this Summer. I am looking forward to attending my daughter's college graduation. I am looking forward to spending more time with my extended family. I'm looking forward to our family vacation this summer in Orlando. I'm looking forward to reading some excellent books this year. I am looking forward to spending some nice quality time with my family and our pug. I am most looking forward to a family trip to Arizona in November! I'm looking forward to seriously getting into calligraphy this year. I am looking forward to visiting my great grandchildren this year for vacation. I am most looking forward to finally quit smoking this year. I am looking forward to raising monarchs again this summer! Last summer we raised and released 621! Was so amazing watching each monarch butterfly soar! I'm hoping for a good year for my children and myself. Hope it's full of joy, happiness and wealth! I am looking forward to less stress this year. I am most looking forward to a family vacation with my children and their families this year. I most look forward to (hopefully)building and moving into our new home. I am in a horrible mood right now, so I am looking forward to nothing right now. I am looking forward to summer days at the lake. I am most looking forward to watching my children's accomplishments. I am looking forward to giving more blood. I gave blood yesterday to the American Red Cross. I am looking forward to our daughter's graduation. I'm looking forward to vacation in a couple of months. Always a nice welcome after our long cold winters!